Emergency demo – stop the destruction of the Calais ‘jungle’ camp, refugees welcome here! By: Darius Shahtahmasebi via theantimedia.org Corporate media regularly attempts to present Bashar al-Assad’s regime in Syria as solely responsible for the ongoing conflict in the region. The media does report on events that contradict this narrative — albeit sparingly — but taken together, these underreported details shine a new light on the conflict. An investigation into efforts at the Greek and Swedish borders to manage migration that have come under heavy criticism for putting the Schengen Area under threat. The video Below has English Subtitles. David Cameron called the deal a ‘basis for a breakthrough’ that could end people smuggling. The Turkish proposals, which included a demand for an additional €3bn (£2.3bn; $3.3bn), came as a surprise at the EU summit, leading diplomats to wonder whether to vet the deal in a short duration. Listen to the full English Translation. She speaks open & honestly about the international debt crisis & a WHOLE LOT MORE! 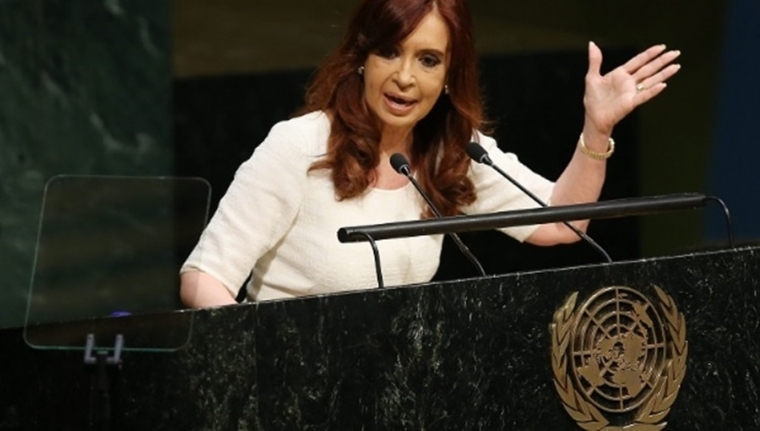 Including her allegations that the White House representative asked Argentina to sell Nuclear fuel to Iran at about 19min:45sec mark. She also asks some very pointed questions about the rise of ISIS & the comparisons with a Hollywood movie! 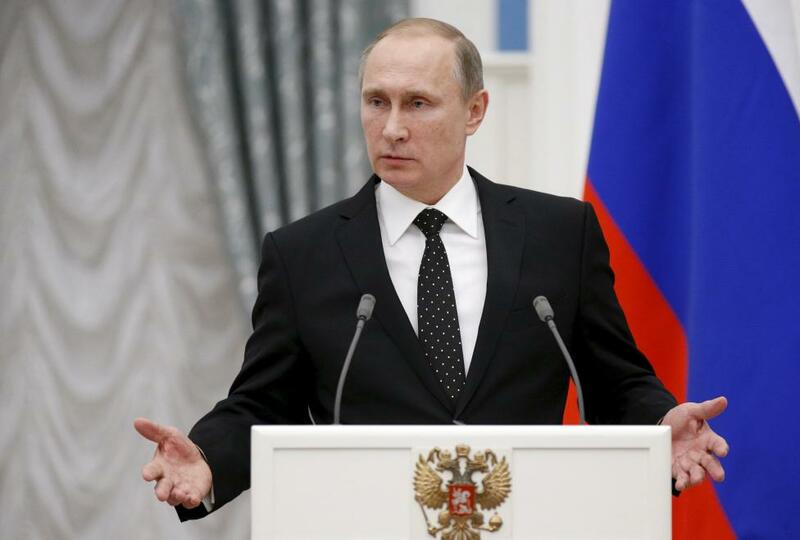 Audio Report – Has Putin ordered the destruction of Erdogan’s Family? Speaking after talks in the Kremlin with French President Francois Hollande, Putin voiced lingering anger at Turkey’s actions, saying he viewed the downing of the jet as an act of betrayal by a country Moscow had thought was its friend. “(There are) technical means of protection from the rocket assault, including thermal guard – specialists know how it is done. We did not do any of these, I will repeat, because we thought Turkey was a friendly state and simply did not expect any attacks on this side. This is why we consider this hit treacherous,” Putin said, commenting on the downing of a Russian fighter jet by Turkish forces earlier this week. The Ministry of Defense (MoD) is reporting today that President Putin has authorized an unprecedented “asymmetric warfare” action, to include “war by proxy”, to destroy the family and government of Turkish President Recep Erdogan in retaliation for the deliberate downing of an Aerospace Forces Sukhoi Su-24M bomber aircraft on 24 November over Syria in a bid to prevent a larger war with the nation of Turkey as a whole. According to this MoD report, and as we had previously reported on, the deliberate ambushing and shoot down of this Su-24M was “directed/organized” by rogue elements operating within the Turkish government and United States Central Intelligence Agency (CIA) who were “partners/collaborators” in an oil-for-weapons scheme involving Islamic State terrorists operating in Syria run by Turkey’s President Erdogan’s son Bilal Erdogan. Bilal Erdogan, this report continues, is the silent mastermind who has been responsible for converting millions of barrels of Syrian oil controlled by Islamic State terrorists into hundreds of millions of dollars of revenue in a scheme so vast that President Putin described it as a “living oil pipeline” comprised of “vehicles, carrying oil, lined up in a chain going beyond the horizon”. With the money earned from this sale of the Islamic States oil, this report notes, American weapons and ammunition were then bought from the CIA and transported back into Syria by Turkey’s National Intelligence Organization (MİT) to Islamic State terrorists—which was documented and verified by the editor-in-chief of the Turkish Cumhuriyet newspaper who upon the release of this information was ordered arrested yesterday by President Erdogan on treason and espionage charges. With Aerospace Forces having destroyed over 1,000 fuel tankers in the week prior to 24 November carrying illegal Islamic State oil into Turkey, MoD analysts in this report state, Bilal Erdogan, along with his MIT and CIA “accomplices” then ordered the “shootdown by ambush” of Russia’s Su24-M bomber aircraft with Turkish Prime Minister, and Erdogan family ally, Ahmet Davutoglu admitting that he personally gave the order to fire on the aircraft—and which was filmed by Islamic State terrorists who knew where and when to “get that exclusive footage”, as reported by Federation Colonel-General Viktor Bondarev. To the Western propaganda effort to “disguise/distort” this war crime against the Federation by Turkey, this report says, it has fallen into to many absurdities to count—including the impossibility of this Su24-M being able to fly over Turkish territory at a speed at which if true it had would have fallen from the sky, and which Wikileaks stated about: “Journalists: Learn to do basic maths. Look at Turkey’s statement to UN: 1.15 miles / 17 seconds x 60 x 60 = 243 miles/hour = 391 km/hour”. Even worse about the Western propaganda, this report notes, is an obvious Erdogan-MIT-CIA fabricated recording of the alleged warning given to the Su24-M bomber aircraft—but which Turkish authorities have informed the Russian military attache that they did not provide the media with any audio recordings of alleged radio contacts between their F-16 fighter and the downed Russian Su-24M bomber aircraft because they don’t exist. To President Putin’s war order against the Erdogan family and regime, this report continues, it has included the obliteration of the Islamic State forces in the area where this plane was downed and now allows Aerospace Forces to shoot down all enemy planes and objects which pose, or can pose, a threat to the serviceman of Russia in Syria. And as stated by President Putin to the media this morning, these measures let everyone know clearly that the next time any foreign plane tries to carry out aggression against the Russian Air Force, air base, or the military personnel of Russia in Syria—they will be, without any doubts, immediately destroyed—and the Triumph S-400 air defense missile complex wasn’t just deployed to Syria for appearances.